Careers at Massive Media, the online media group that aims to bring people together in a fun, simple and efficient way. Bring millions of people together. We want to add some talent to our data team to make sure it can continue its mission of turning the huge amounts of data we gather into gold. As a Full Stack Developer at Massive Media you will be part of a talented, young & dynamic team that builds highly scalable products used by millions. We're looking for an ambitious and talented Graphic Designer to join the brand team and help us to build our visual identity and support operational marketing tasks. We expect this person to be hands-on, self-driven and have a creative & visual mind. Are you passionate about launching new brands? Are you born to create awesome designs and do you enjoy organising marketing campaigns? Well, you might be the person we're looking for! We want to add some talent to our systems team to make sure it can continue its mission of making all our systems run smoothly and consistently. At Massive Media, we believe that life is all about the people you meet. No matter if it’s a friend, the love of your life, or just someone to talk to. We aim to bring people together in a fun, simple and efficient way. Our company is based in the city center of Ghent and is currently running Twoo.com after having run Netlog in the past. We are part of the Match Group that includes brands such as Meetic, Tinder and Match.com. Massive Media brings people together from all over the world. Whether you are a developer, a designer, a marketeer, an administration officer or a customer support agent, you make a difference. Millions of users connect via one of our sites on a daily basis. You’re part of a community. You'll be working with smart people from all kinds of background. Whether it's handling big data, delighting customers or stressing usability, they'll share their expertise with you. We help our team to explore their fields and keep learning. We understand that passionate, intelligent and creative people need space to achieve excellence. You’ll be working in a team, but will enjoy great independence. 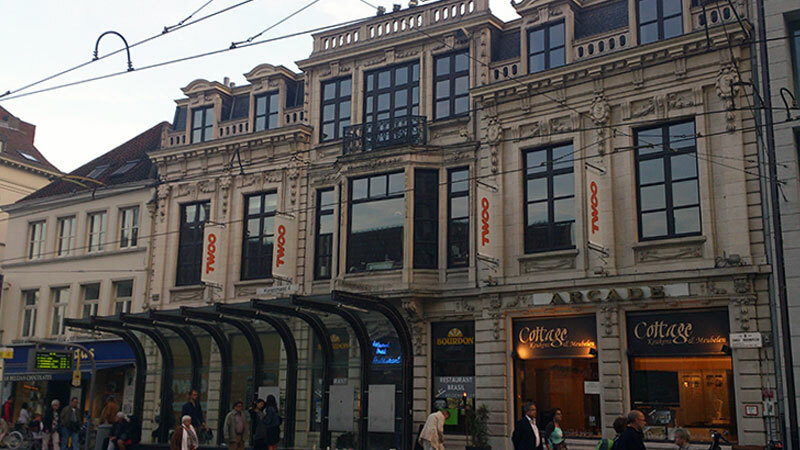 Our Ghent office is located right in the city centre. Easy to reach and right where you want to be for a nice lunch or after hours drink. We offer a competitive salary with lots of extra benefits. All of our full-time team members enjoy a full healthcare benefits plan and group insurance. You’ll have your own laptop and state-of-the-art smartphone, an internet connection at home and a phone subscription for your fancy phone. Life at Massive Media wouldn’t be the same without our team. We have a weekly free lunch, a monthly happy hour and an annual team event. And there are plenty of opportunities for a drink in between! We'll make sure you're happy here! Our team is based in Ghent (Belgium). For a full overview of the Twoo team, please visit the team page. Massive Media Match NV is owned by Match.com Europe Limited, a company organized and existing under the laws of England and Wales, having its registered office at 40 Bank Street, Canary Wharf, London E14 5DS, England, registered with the Companies Registry of England and Wales under number 7661220. Match.com Europe Limited is part of the IAC/InterActiveCorp Group (IACI), headquartered in New York. Massive Media Europe NV is owned by Meetic Group (MEET), headquartered in Paris. Meetic Group is part of the IAC/InterActiveCorp Group (IACI), headquartered in New York. Empowering people to openly explore human & cultural diversity across the world, creating real connections.